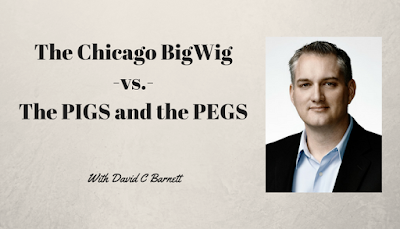 I had a chat with a Chicago executive who was looking for an opportunity to buy a ‘good sized’ business with about $500K EBITDA. He was having troubles making a deal. It seems that every time he found a good business, someone else arrived on the scene to outbid him. What gives? Why do these other buyers seem to want to over-pay for these businesses? The problem is that at this revenue level, the financial buyer (person who wants an income and job) begins to run into the strategic buyers. In this case; the PIGS and the PEGS. These are the Private Investment Groups and Private Equity Groups. There is a reason they’re willing to pay more. They’ve got plans for these businesses. Learn what it is in this video I made. Learn more about how to buy businesses at www.BusinessBuyerAdvantage.com where you can access tons of information and enroll in my online course. Sign up for my weekly e-mail list. It's just to the left of this article.